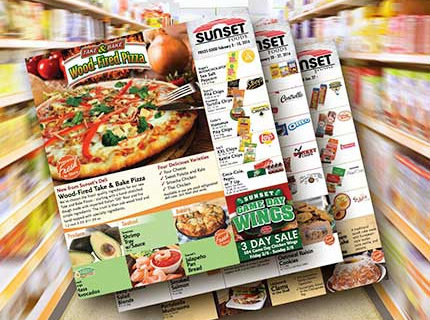 Sunset eGrocer is the quick and easy way to purchase groceries. Let our trained shoppers pick the very best of what we offer for you. Sunset eGrocer — you click it, we pick it. 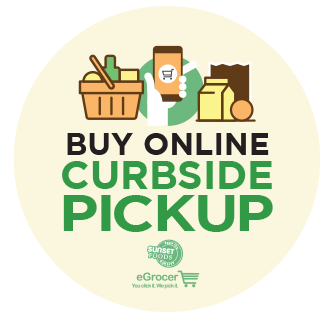 The convenient online drive-through curbside pickup shopping solution. 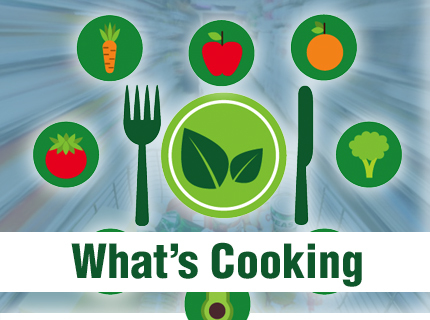 Log on and shop Sunset's amazing selection of fresh products and pantry staples. Simply click on the items you want added to your cart, schedule a pick up time, and your groceries will be loaded into your car when you pull up to the the store. No more navigating the aisles with a cart. No more scanning the shelves for what you need. Sunset eGrocer makes grocery shopping enjoyable and convenient anytime, anywhere. Plus, you can save your shopping lists for future purchases, making your next online shopping experience even quicker. Click here if you prefer home delivery offered through Instacart. Note: Fees and pricing may be higher than eGrocer and shopping and delivery is handled by Instacart independant contractors. Hungry for your favorite Sunset Foods Grill freshly-prepared sandwich or salad? There’s an app for that! 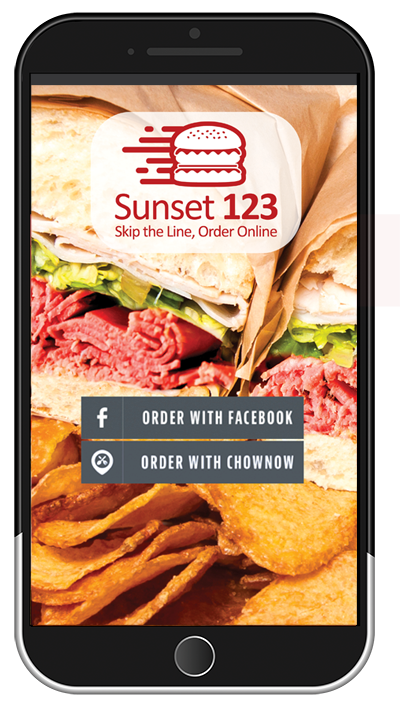 Now available at the "Grill" located inside our Libertyville and Northbrook store locations, Sunset123 is an online food ordering app which makes it easy to order lunch or dinner directly from our website or your mobile device.